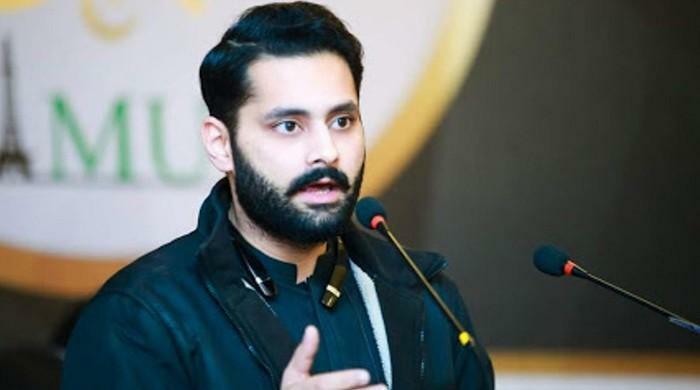 The Human Rights Commission of Pakistan (HRCP) on Sunday said that it was gravely concerned at the escalating threat to rights activist and independent candidate Jibran Nasir in Karachi. Nasir and his supporters have been targeted consistently by right-wing elements, especially over the last week. In a statement, HRCP has strongly condemned “the violence and malice that has dogged Mr Nasir’s election campaign. It is of serious concern to the commission that local clerics and supporters of the Tehreek-e-Labbaik Pakistan (TLP) have reportedly labelled Mr Nasir and his supporters ‘Qadiani agents’ and publicly incited charged mobs to engage in violence to prevent him from canvassing”. An angry mob had reportedly attacked Nasir’s team and tore down his posters for the July 25 polls on Friday night in the city’s Bizerta Lines area. Nasir and his supporters, however, escaped the attack unhurt. “No member of the public or of any state institution has any right whatsoever to question – or indeed, to demand he prove – his faith,” the statement read. The frightening implications this could have for Mr Nasir’s personal safety and that of his political workers should be lost on no one – least of all the Election Commission of Pakistan (ECP) and the caretaker government, it added. The ‘constant vitriol of TLP supporters such as cleric Naveed Abbasi’ violates the ECP’s code of conduct for political parties, it further said. Given that the TLP has been accorded the status of a legitimate party, the HRCP demanded that the ECP disqualify any TLP and other candidates linked to inciting such violence and provide adequate security to Jibran Nasir. The rights watchdog also demanded that the caretaker government in Sindh must ensure timely registration of cases against those who have threatened or attacked Nasir and his supporters.